As we know, the UK voted to leave the EU on 23rd June 2016. The UK is required to serve notice under Article 50 of the Lisbon Treaty and this carries a two year notice period. The General Data Protection Regulation is due to be implemented in less than two years – 25th May 2018. GDPR applies not just to organisations established within the EU but to any organisation which processes the data of EU citizens. Or an organisation which offers goods and services to EU members. It also serves to monitor online behaviour. Even standing outside the EU, the long arm of GDPR will apply to any UK organisation handling the data of EU citizens. The UK will need to prove ‘adequacy’ for data protection. Countries globally are preparing now for GPDR. I strongly recommend all organisations to be actively researching what they need to do to comply with GDPR, as once released it automatically becomes law in all EU Member states. Author JP NormanPosted on October 14, 2016 October 21, 2016 Categories MSPTags GDPR, General Data Protection Regulation, icoLeave a comment on Are you ready for GDPR? The ICO has revealed this week that it has fined communications company TalkTalk £400,000 (out of a maximum £500,000) for its poor web security following the theft of nearly 157,000 customer account details in October 2015. As we reported in our blog of 13th May 2016, the company’s profits were deeply hit also as a direct result of the attack and the firm lost 101,000 subscribers in the first quarter after the attack. 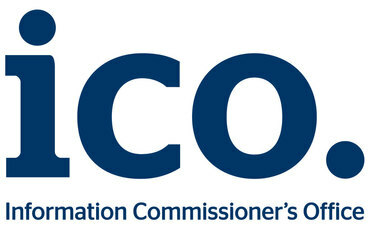 The report by the ICO was scathing, with Information Commissioner Elizabeth Denham commenting, “Yes hacking is wrong, but that is not an excuse for companies to abdicate their security obligations. TalkTalk should and could have done more to safeguard its customer information. It did not and we have taken action”, she added. In nearly 16,000 cases, the attacker was able to steal bank account details. Additionally, legacy software dating back from when TalkTalk took over rival Tiscali was found to be out of date enabling vulnerable web pages to be attacked using SQL injection. TalkTalk had been unaware of the problem, which could have been readily fixed if its security measures were kept up to date. The ICO explained that TalkTalk had been very lax in enforcing proper security on its own website. Ms Denham added, “In spite of its expertise and resources, when it came to the basic principles of cyber-security, TalkTalk was found wanting. Today’s record fine acts as a warning to others that cyber security is not an IT issue, it is a boardroom issue”. These comments completely echo the advice Amicus ITS has consistently given to its customers and shared with the wider business community at its regional thought leadership cyber security roadshows. Dutch multinational banking and financial services organisation, Ing, reported recently that a fire extinguisher test in one of its Romanian branches, had set off an unprecedented and disastrous chain of events, resulting in cash machines, online banking and its website going down for over ten hours on Saturday 10th September 2016. The bank, which has over 48 million individual and institutional clients in over 40 countries, could not explain the situation to its customers as the outtage had affected the bank’s main communication systems as well. Ironically, it was not the fire extinguisher’s gases that caused the problem, rather, the loud sound emitted by the inert gases released at over 130 decibels which destroyed dozens of hard drives, according to tech magazine Motherboard. Whilst it may have been unprecedented for Ing, it is not unknown. In 2013, French media reported that accountancy software used by the French Government became temporarily ‘unavailable’ after a fire protection system was accidentally triggered at a data centre issuing a loud noise and causing an outage there. Whilst more locally, in Glasgow in December 2015, a fire suppression system triggered by an air conditioning unit was blamed for bringing Glasgow City Council to its knees for several days affecting council tax and benefits systems, disabling MS Outlook email services and the Cisco telephone switchboard system. 1. Review the physical security of your server systems and their environment. 3. Ensure you have failover availability with full back up and replication systems in place to keep your business up and running.